Lately I've been heading from place to place, and as such always have good choice of hire gear even while in a new town with new Gaffer and crew, but believe it's great to keep some small, familiar and useful lights in my own kit. I'm putting together a Peli case with these, my go-to eyelights and problem solvers. These terrific USB charge LED panels are bi-colour and dimmable. 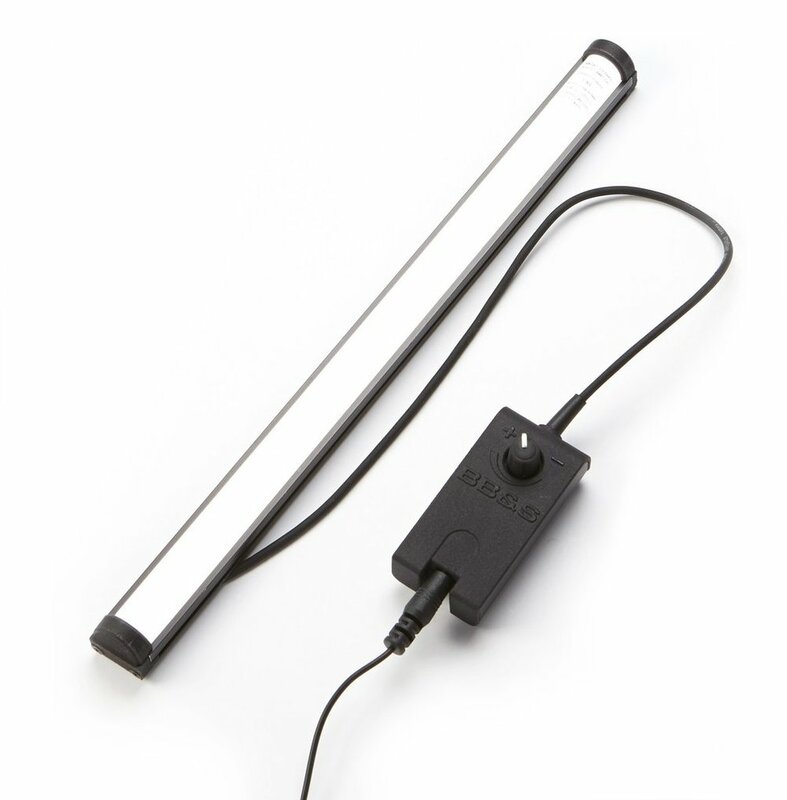 You can buy them like this with a diffuser screwed on, which sit perfectly as a "book light". On the current shoot the Gaffer has made home made softboxes using gridcloth, correx and velcro to attach, which softens them further and cuts down all spill. I've got one in my bag at all times and am able to pull it out to add a touch of fill for eyes or backgrounds that just need a little lift. They're also great mounted above the matte box on a gimbal for an adjustable fill light that weighs next to nothing. The Eye-Light is teeny, but dimmable and also bi-colour. The terrific Gaffer on The Last Kingdom uses them again with home-made softboxes, which means you can hide them behind cups and even the other day I hid one behind a candle to fake the candle lighting a wall. With both of these LED panels from Aladdin I have at least two of each so one can always be charged and ready to go. 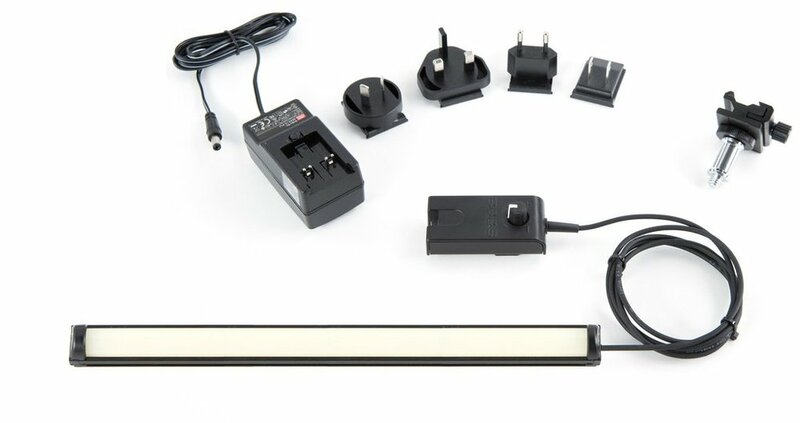 They also charge from a common USB power pack which my kit has a few of for those emergency top ups or when you don't want to have to reach up to the LED for a while. They'll run for a good portion of a day with a supplemental battery pack. From Aladdin again, I've just added the Bi-Flex-2 2'x1' bendable LED panel. I'm really liking these extremely lightweight panels. 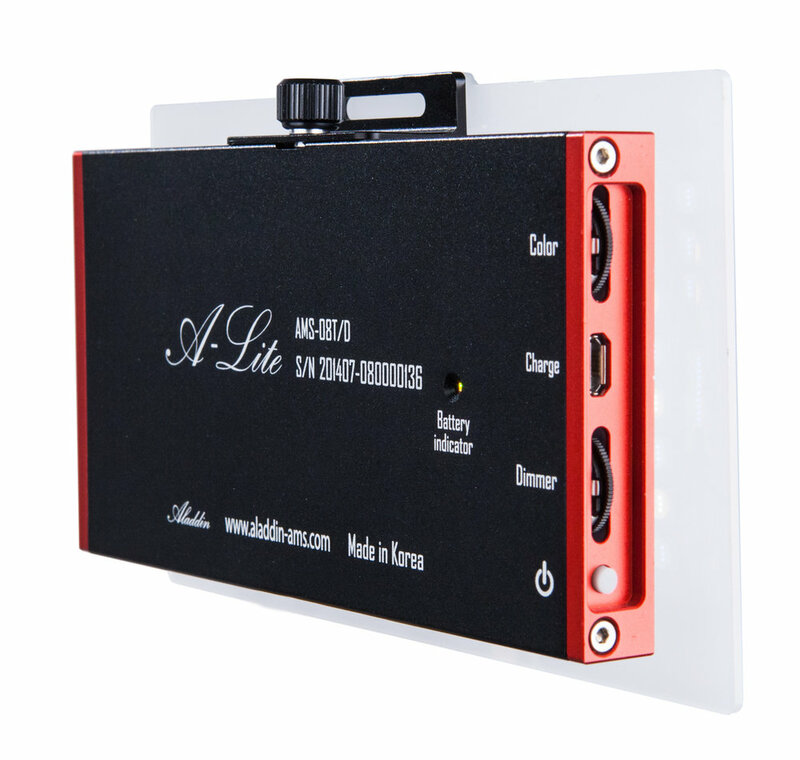 They run off V-Lock batteries or mains and have DMX control input. I do a lot of rigging lights in locations and having a soft light that is this thin and light, you can literally tape it to the wall or ceiling and run a long cable out. Stick a diffuser and grid on it and it's still only about 5 inches deep. I'm going to test out this one for my personal kit. We're using the 2x1 and 4x1 panels currently on the shoot here in Budapest and I love the 4x1, but I want to make sure I can travel with that one before buying it. Aladdin are soon bringing out a fantastic 3'x3' completely foldable Fabric Lite soon. This will be a game changer in the industry. 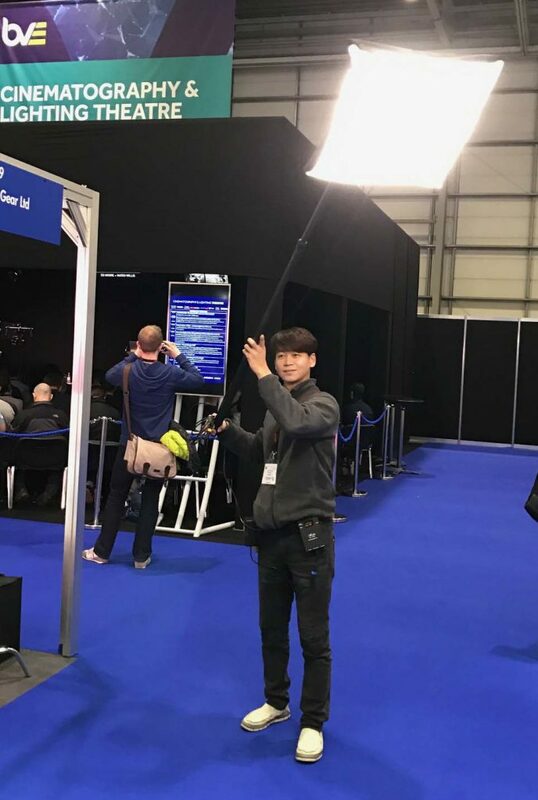 Each one can run off of a battery but you can link them together in standard 4x4, 8x8, and 12x12 frames to make the holy grail of modern lighting, the large, active, thin soft area light that folds into a bag. I can't wait. They'll be pricey but a couple of 3'x3' sections would be so good. 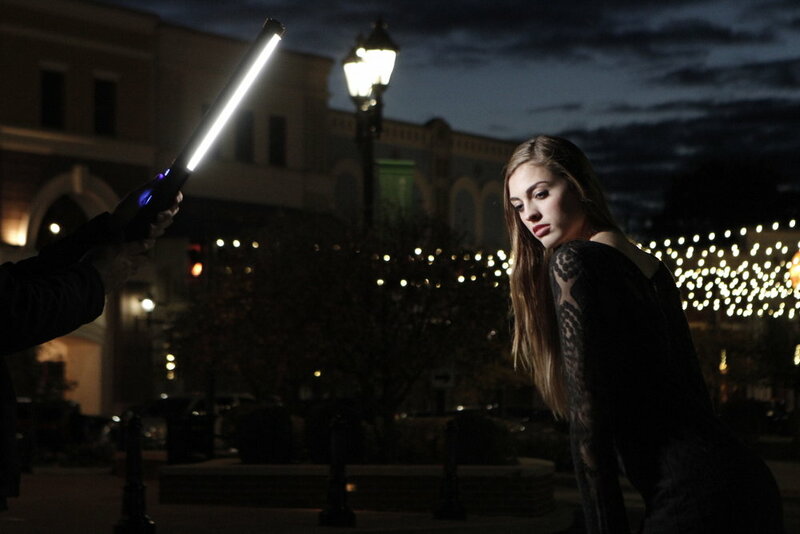 4'x8' is a great size in most situations as a keylight. It's worth a mention here as I think this is big news in production lighting. 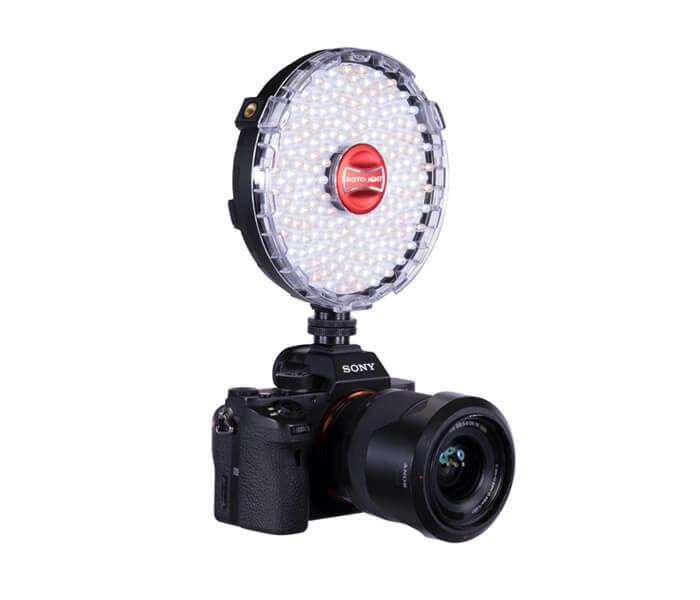 I'm very keen soon to get the Aladdin Flex-1 kit with the Fly Ball option. On my last shoot "The Split" for sister pictures we used a Panalux version but I think this Aladdin one is great as it's a 1'x1' flexible panel LED that can be used in other situations, but is also adaptable to create a pancake lantern, complete with boom pole and belt clip setup for the battery/dimmer pack. I've also purchased the extremely long Charters Pole developed by Rodney Charters for this use (and for getting sneaky high shots with an Osmo). The BB&S Phospor sticks are very bright and have perfect colour and consistency. I have one that is 1' long in daylight and am adding a 4" tungsten one to my kit for more candle faking. They run off Sony NP style batteries and are great sitting on a mini tripod. This daylight coloured strip lamp is slightly longer than my Peli case, but I've found it very useful, particularly in doorways. It has a threaded hole for 1/4 20 screws at one end so can be placed as a narrow key light, but isn't so thin that it throws a really hard shadow, so it's nice on faces. Bulkier than the BB&S Pipeline but a complete built in solution, so there are no cables loose, and it's designed well to be in the hand. It's also very rugged. I often leave it lying on the floor and it doesn't mind the occasional kick. So that's a few of the smaller lamps in my kit. I've got a couple of larger ones, but these ones can live in a small case of bag and are great for solving problems on set. Also a note to clarify, other than the V-Lock run lamps I use, all of these lamps have small internal rechargeable batteries. All small enough and installed so no problem to check in luggage.